Feel the wind and revel in the silence as we cut the motors and set the sails for an unforgettable 3 hour tropical sunset cruise on the magnificent Darwin Harbour. Authentic sailing aboard Sundancer, a 50ft ocean-going luxury catamaran designed for ultimate enjoyment and safety in tropical waters. Catering for small or large groups, our Champagne Sunset Sail offers a truly genuine sailing experience aboard a spacious comfortable vessel. With over 100 square metres of deck space there’s plenty of room to spread out in the shade of the sails, or if our warm weather gets too much retreat to the fully air-conditioned saloon. Includes Champagne, Beer Soft Drinks, Water & delicious tapas dinner served throughout the evening. BYO other drinks, eskies and icemaker on board.  - A camera, hat & sunscreen. Come on board for an unforgettable 5 hours of laughter and fun hen's day. 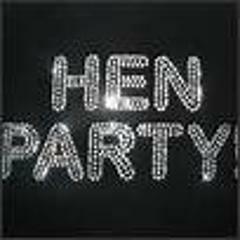 Come on board for an unforgettable 5 hours of laughter and fun hen's day.Come on board for an unforgettable 5 hours of laughter and fun hen's day. A great getaway to a remote uninhabited tropical island!. Join us for an exhilarating 2 days sail exploring the pristine marine environment around Bare Sand Island 60km from Darwin. An exclusive up-close adventure sail. With the warm wind in your hair and the smell of salt in the air, join us for an exhilarating 2 day sail to Bare Sand Island, 60km west of Darwin. We set sail out of Darwin Harbour in the morning past Mandorah and around Charles Point, taking in the panoramic view of the rugged Top End coastline. Once past the historic Charles Point lighthouse we then sail southwest past a series of tropical reefs and Quail (Dooenda) Island, to arrive at Bare Sand (Woolbechick) Island mid afternoon. Bare Sand Island is a great place to see Sea Turtles during the nesting season which starts in May and ends in October. During the peak of the nesting season in June and July, dozens of turtles come ashore each night. During the late afternoon we’ll go ashore and look for turtle tracks and learn about the history of the island and surrounding area. You’ll also have the chance to try your hand at throwing a spear using a woomera. After a relaxing afternoon ashore, we return to Sundancer for a delicious meal aboard, bathed in the glorious colours of the last lights of the setting sun. After dinner, we return again to the beach where we watch for sea turtles making their way up the beach, and hopefully the chance to witness a female turtle making her nest and laying her eggs. Later in the season you may also see the eruption of baby turtle hatchlings from their homes beneath the warm sand, as they begin their scramble towards the water. We return you to Sundancer with cool drinks waiting, where our local guide will serenade you with the haunting sounds of the didgeridoo. You’re welcome to learn how to play; or just lay back on the deck with the balmy night air wrapped around you like a soft blanket and the Milky Way a glorious ceiling of stars across the night sky. At your leisure, make your way to your airconditioned private cabin for a peaceful night’s sleep at a quiet anchorage (or if you prefer, you can sleep in a swag on deck, under a sky of diamonds). In the morning, after a wholesome breakfast aboard we can explore any of several nearby reefs, and possibly hook a salmon or jewfish for some fresh lunchtime sashimi! 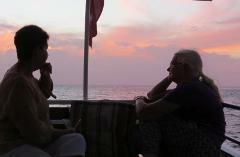 Many a time dolphins will join us to play on the bow wave, plus there’s a chance to spot dugong and massive sea turtles. A brisk sail back on the afternoon seabreeze – with keen guests permitted to assist with sailing and navigation – sees us sailing back into Darwin harbour just in time for sunset. 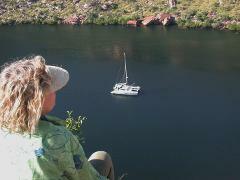 - Includes sailing/navigation tuition and didgeridoo-playing/spear-throwing tuition. - All meals are freshly prepared onboard using fresh local produce, and organic produce where possible. Special dietary requirements can be catered for (ie vegetarian, vegan, halal, gluten-free, lactose-free etc). Pricing: is on a per person twin-share basis. 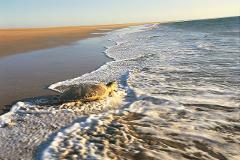 * Turtles nest at Bare Sand Island during the dry season. 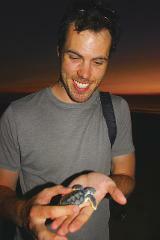 Sighting of nesting or hatchling turtles is totally dependent on nature and cannot be guaranteed. Peak times for sightings are at full moon and new moon, 2 hours before and after the high tide. colours of the last lights of the setting sun. beneath the warm sand, as they begin their scramble towards the water. sleep in a swag on deck, under a sky of diamonds). of Tarntipi Beach. Our overnight anchorage is again in Apsley Strait. 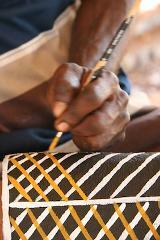 A once in a lifetime opportunity to experience the delight and colour of a modern day Aboriginal community on the beautiful Tiwi Islands just north of Darwin. Prices include all meals, accommodation on board, all shore excursions and use of fishing gear, binoculars and other equipment aboard. Prices include all meals, accommodation on board, all shore excursions and use of fishing gear, binoculars and other equipment aboard. Accommodation is on a twin-share basis (ie 2 people per cabin). Deluxe cabins have king-size beds (or 2 singles) and private bathroom, standard cabins have double beds and share bathroom. Sunday 15 March 2015, share in the excitement and colour of the famous Tiwi Islands Grand Final and Art Sale then return to the comfort and privacy of your own luxurious 50ft catamaran, fully airconditioned, and sleeping up to 8 guests. Sunday 16 March 2014, share in the excitement and colour of the famous Tiwi Islands Grand Final and Art Sale then return to the comfort and privacy of your own luxurious 50ft catamaran, fully airconditioned, and sleeping up to 8 guests. Embark at Cullen Bay Jetty in Darwin at about 5pm for a briefing and complementary welcome champagne. Departing Cullen Bay around 4pm, we leave our worries behind as we set sail into the sunset north to the Tiwi Islands with sundowners, and a sumptuous dinner aboard. Guests are welcome to assist with sailing activities, spread out on deck, or retreat into your private airconditioned cabins. We arrive at the Tiwi Islands around 11pm for a peaceful night’s sleep aboard at a quiet anchorage in the Apsley Strait. After a good night’s rest and a slow leisurely breakfast we’ll go ashore at a time that suits you, to join in the day’s festivities – meet with local artists, learn about the island’s culture and customs, be amazed by the intricate Pukamani poles, try some bush tucker, listen to the stories, marvel at the beautiful smiles. The football Grand Final kicks off around 1 or 2pm depending on when ceremonies finish and the locals say “go”. Join thousands and they whistle and whoop and try to spot the next AFL legend born from their island. At the end of the day we return you to the quiet and privacy of Sundancer for sundowners and dinner, and again a peaceful night’s sleep in the calm waters of Apsley Strait. We’ll set sail early, around 6am, and sail south east back towards Cullen Bay. Breakfast is taken on deck underway (or sleep the whole passage if you prefer), arriving back in Darwin around midday. Sundancer NT provides a step-above the usual fishing mother-ship experience, with over 100 square metres of deck space, midge-proof cockpit, air-conditioned cabins, hot showers, and even an onboard pool! 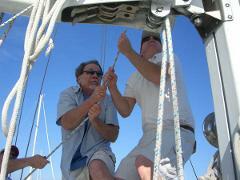 We offer two team-based activities – Team Bonding, and Team Building. Please enquire for details, or vsit www.saildarwin.com.au/team-building. Treat your staff and clients to the ultimate end of year function aboard Sundancer NT. 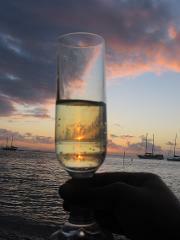 Enjoy sumptuous food and free-flowing champagne aboard a 50ft luxury catamaran. See in the New Year in style and watch the fireworks display from the best location in town - aboard Sundancer 50ft catamaran! Includes dinner & endless champagne, return after midnight fireworks! Description: See in the New Year in style and watch the fireworks display from the best location in town - aboard Sundancer 50ft catamaran! Includes dinner & endless champagne. Take in the spectacular of the Darwin Waterfront fireworks over the water in a premium position - and there's no jostling in crowds for a premium vantage point to see the display! No better way to see in the New Year! 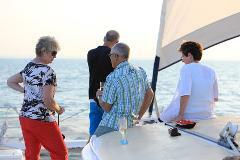 Sailing Time: 7:00pm-12:30pm (approx) - includes sumptuous dinner & endless champagne. Indonesian Fusion cruise - 3 hours of immersive food, music, language, even costumes! Indonesian Fusion cruise - 3 hours of immersive food, music, language, even costumes! Indonesian Fusion cruise - 3 hours of immersive food, music, language, even costumes! Indonesian Fusion cruise - 3 hours of immersive food, music, language, even costumes! Indonesian Fusion cruise - 3 hours of immersive food, music, language, even costumes! Indonesian Fusion cruise - 3 hours of immersive food, music, language, even costumes! Thai Fusion cruise - 3 hours of immersive food, music, language, even costumes! Thai Fusion cruise - 3 hours of immersive food, music, language, even costumes! Thai Fusion cruise - 3 hours of immersive food, music, language, even costumes! Thai Fusion cruise - 3 hours of immersive food, music, language, even costumes! Thai Fusion cruise - 3 hours of immersive food, music, language, even costumes! 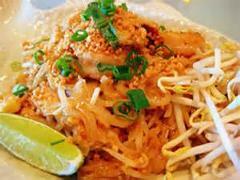 Thai Fusion cruise - 3 hours of immersive food, music, language, even costumes! A very relaxed 2 hours morning high tea. You'll have the chance to try a vast range of teas from around the world and also try our delicious food platters including cupcakes, healthy raw cakes and light sandwiches while anchored. 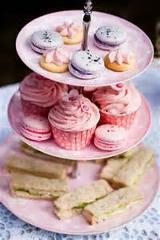 Join us onboard Sundancer and catch up with your friends for a very relaxed 2 hours morning high tea. You'll have the chance to try a vast range of teas from around the world and also try our delicious food platters including cupcakes, healthy raw cakes and light sandwiches while anchored near the sand bar. Come on board for an unforgettable 3 hours of laughter and fun hen's day night out. Feel the wind and revel in the silence as we cut the motors and set the sails for an unforgettable 3 hour tropical cruise on the magnificent Darwin Harbour. Authentic sailing aboard Sundancer, a 50ft ocean-going luxury catamaran designed for ultimate enjoyment and safety in tropical waters. Catering for small or large groups, our harbour cruise offers a truly genuine sailing experience aboard a spacious comfortable vessel. With over 100 square metres of deck space there’s plenty of room to spread out in the shade of the sails, or if our warm weather gets too much retreat to the fully air-conditioned saloon. Sails: Most days except when on extended charter. Come dressed in 60's attire...and get ready for some serious, flower power grooviness!! The party will be held on the Sundancer - a 50ft private catamaran cruising Darwin Harbour, perfect for groups of up to 30 people of all ages. Enjoy sumptuous food and free flowing champagne whilst celebrating with Christmas cheer and just enjoying the freedom that being out on the water brings. Exchange of presents will be organised during the cruise. Only 30 people can attend, so get in NOW!! Tickets are $80 per person! We'll party on the boat and then continue on land at a destination we choose on the night! Includes delicious tapas dinner served throughout the evening. BYO drinks, eskies and icemaker on board.